It is one of those very few apps for android online texting which is in the market for years. It is completely free to use and it has innovative quick reply option in it. ChompSMS has lots of features like features like Quick Reply, Quick Compose, Scheduled Messages, Passcode Lock, Privacy, Easy Pick Emoji’s, Templates (text snippets), Signatures, heaps of customization options (notifications, ringtones, colors, fonts, wallpapers), Blacklisting and much more! This messaging app for your android is undoubtedly one of the best. This app is completely free and works for both sms and mms services. Handcent SMS is a powerful, customizable, and free SMS/MMS app that fully unleashes the messaging potential of Android devices. Features like Integrated spellchecking and additional message composition tools makes it more powerful. 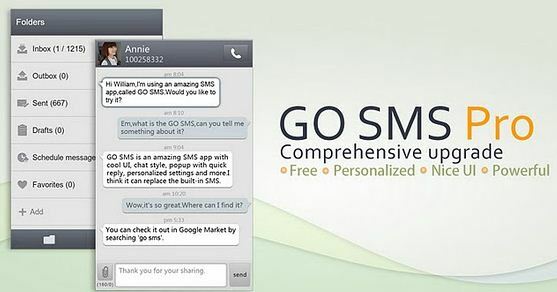 This is another free online texting application for your android smart phone. This app works very fast; it possesses many features and most of all, it supports both sms and mms sending. 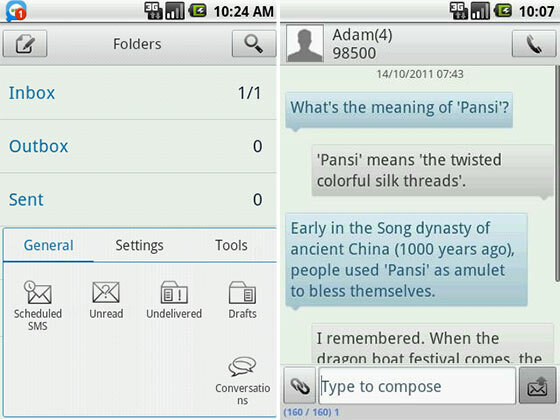 If you are planning to send messages fast from your android text messaging app, then you should try out Pansi SMS. This app is one of the fastest and featured apps. It supports complete text and multimedia messaging services. This android app is actually designed for making voice and phone calls internationally in low rates, but it helps in case of online texting as well. This android app is considered as one of the all time best messaging application. You can send sms for free with this app and the receiver of the message can directly reply if he or, she has TextPlus. This android application helps you to send messages and one can reply to Nimbuzz messages directly if he or, she also possesses this app. This app is completely free to download and use. SMS Backup & Restore is a simple Android app that backs up and restores your phone’s text messages. Schedule automatic backups or backup your messages anytime you wish. You can view backup contents on your phone, and choose to backup selected conversations only. Here is another android application for online messaging, however, this is different from the others due to the presence of icons and graphical interfacing in the messages. Zlango is a messaging application that adds icons, color, skins and personal expression to everyday text messages, Facebook status & Twitter updates. Zlango massaging has a huge variety of icons for every day, holidays, and special events! This android app for online texting works very fast and helps to send messages to people who even don’t have a smart phone. It is free to use and deliver messages very fast. Kik is hands-down the fastest, most reliable smartphone messenger available. And with sent, delivered, read, and typing notifications, your conversations will come to life. Do you know more SMS messaging apps for Android phones ? Yes, then share with us via comments below.